Norlin or Not? : THAT is the question. 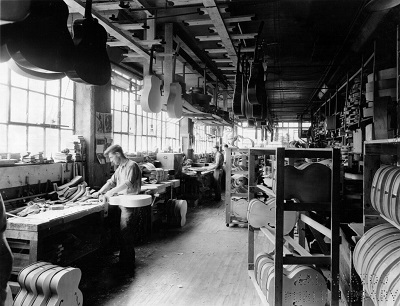 All of the "bad" changes to LSLP's, including 3pc necks/3pc bodies/tenon design/big headstocks, were the result of the "cheapening" process following Gibson's purchase by Norlin. "1969 -- ECL, an Ecuadorian company with interests in concrete and beer manufacturing, takes over Gibson and its parent company CMI. The new entity is named Norlin, a combination of the name of ECL's Norton Stevens and CMI's M.H. Berlin." I intend to do additional research in an attempt to iron out a date, but for now there are two dates generally agreed upon in unconfirmed posts on forums. July of 1969 and late December of the same year. The 8-series introduced the Deluxe model in July, and the 3pc neck/trans tenon era also began at this time. It is also interesting to note that the 9-series began in December with its volutes and pancakes bodies. No conclusions should be drawn until I iron out a better date. It should be noted that the thought and engineering going into these changes would not happen overnight. It is very likely that these changes were made in the lead up to the sale from CMI to ECL(Norlin). For the record, CMI stands for Chicago Music Instruments which already had been controlling Gibson since 1944 (according to the same Gibson.com link above). I'll add more content with a more specific date as soon as I confirm one.